With "Spider-Man 4" crashing onto the shores of creative differences, your friendly neighborhood webslinger is getting a Dark Knight makeover. 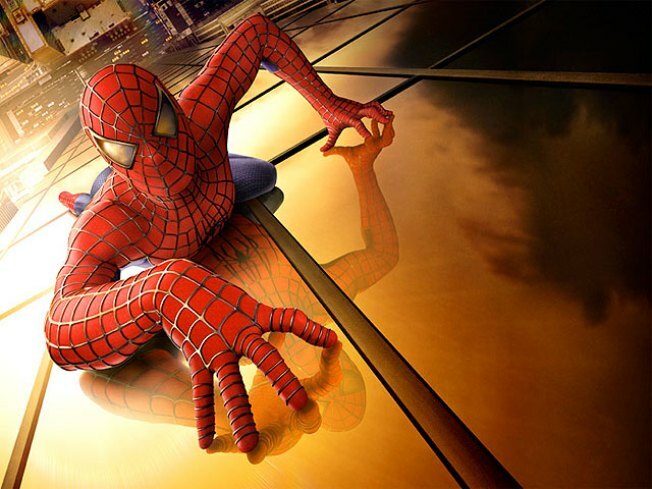 The plan is to reboot the Spider-Man franchise entirely, in much the same way that Christopher Nolan scrapped Batman's film history to start fresh with "Batman Begins." Sony had intended all along to reboot Spidey after the fourth installment and already had a script from "Zodiac" scribe James Vanderbilt in hand, according to Entertainment Weekly. Vanderbilt's story is said to be a grittier, more contemporary retelling of Spider-Man's origins. But when Sony and director Sam Rami couldn't agree on villains for the next picture, the studio decided to push up the reboot. Nolan had the advantage of the caped crusader having been off the radar for seven years and last being seen in a roundly disliked "Batman and Robin." But the fact is that "SM3" left most folks unsatisfied and all the problems that had been plaguing "SM4" seemed insurmountable. Michael "Boom-Boom" Bay, Marc Webb of "(500) Day of Summer" and "Seabiscuit" director Gary Ross have all been mentioned as possibilities to step in. Please, please, please don't let it be Bay. With all due respect to Mr. Maguire, "Spider-Man" made him a hugestar, it wasn't the other way around. Maguire's often been accused of being a one-note, flat performer, where part of Spider-Man/Peter Parker's charm was his glib wit. Maybe with a new face, they can tap into that side of the character. Who knows, if this comes together quickly enough, Spider-Man might be able to take back May 6 from Thor.